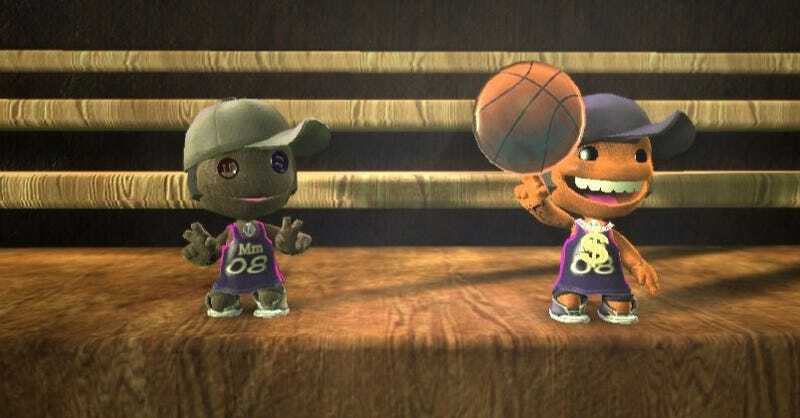 Should there ever be a LittleBigPlanet 2—and Media Molecule's Alex Evans isn't saying, officially, that there is—don't fret that those 2 million-plus levels created in the first will be immediately rendered useless. Evans, co-founder of the LittleBigPlanet developer, tells GamesIndustry.biz that, should Sony and Media Molecule issue a sequel to the DIY platformer, it could offer cross-compatibility, ensuring that your Gradius or Contra homage will live forever. Or at least as long as a sequel's shelf life. "If you look at online distribution for LBP, when the sequel comes along, what do we do with all that content?" Evans says. "I think we can give consumers lots of stuff that you couldn't in a traditional game. We can give them backwards compatibility with those levels, and then when you decide on how you're going to sell that to them... all I'm saying is that we've got loads of options open to us..."
Evans also talks about the possibility of expanding the LittleBigPlanet editor to include something in earlier design docs—the option for users to create objects, not just levels and upload those to be shared as well.